Five New Products Every Fly Fisherman Will Love For Christmas. 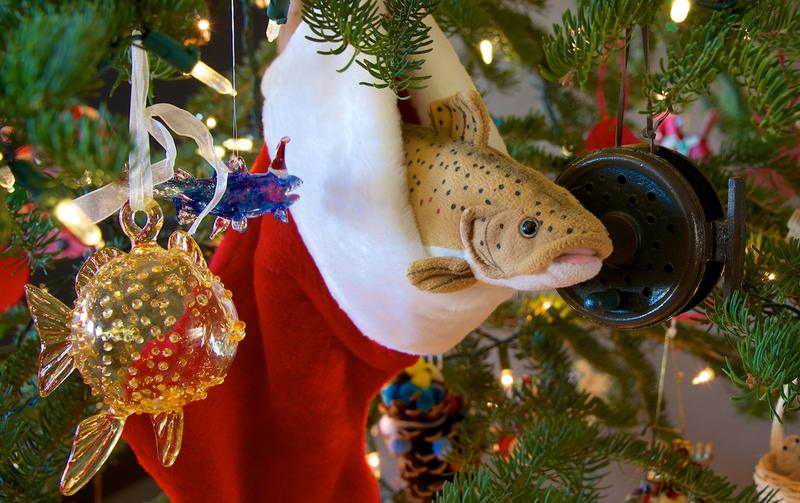 Happy Holidays from all of us at Provo River Guide Service! This is the time of year that my wife always asks me what items are on my wish list for the holiday season. It goes without saying that 99.9 % of the items on my list are fly fishing related. As I scoured the internet looking for all the new goodies, I thought this would be a great list to share in hopes that some of these products show up under your tree this year too. 1 | The Tippet Stack by Loon Outdoors. This is a versatile tippet holder that comes with a carabiner clip and a heavy duty velcro strap that allows you to store five spools of tippet anywhere. This is a great gift for the angler that is always looking for a place to organize their tippet. It works great wade fishing or in a drift boat. With the carabiner mechanism this makes it very convenient for clipping this handy tool just about anywhere. 2 | Umpqua Tailgater Organizer. This is a handy little storage system that is designed to strap onto a tote. It makes for a clean way to organize your gear while in your car or drift boat. Built with mesh pockets and compartments, it can hold several fly boxes, extra clothing, reels, tippet and accessories. 3 | The Tacky Fly Box. In my opinion, this is the best fly box on the market. This box is designed with silicone rubber to ensure your flies never slip. With a clear lid, magnetic latch, and a slim design, it holds up to 168 flies, making it the perfect stocking stuffer. 4 | The Yeti Rambler Tumbler. This is a sweet new travel coffee mug that comes in 20 or 30 oz sizes. It has a vacuum seal which keep hot drinks warm for over 8 hours and cool drinks cold for even longer. It has a clear lid so you can see what beverage you are about to drink. It’s great for the angler that hits the road early in the morning to get to his favorite fishing spots. The 30 oz size is great for carrying soup and large batches of coffee. 5 | Reddington Sonic Dry waders. This is an upgrade from the Sonic Pro Waders. This improved design still has the ultra-sonic welding construction that keeps seams from leaking. I think this is one of the most durable waders on the market and at a $400 price point it is a great deal as well. And for the angler that has it all…. A fly fisherman can never have to many gadgets and tools. For stocking stuffers, check out Rising, a local Park City company who makes anything from hemos to nippers to a great grilling tool they call "Pops Q Tool". Rising's quality, USA made tools are top notch and tested daily by our guides.